One of many ornate chandeliers helping to create the grand Catskills hotel experience. If you think this chandelier is impressive, wait until you see the one in the lobby. 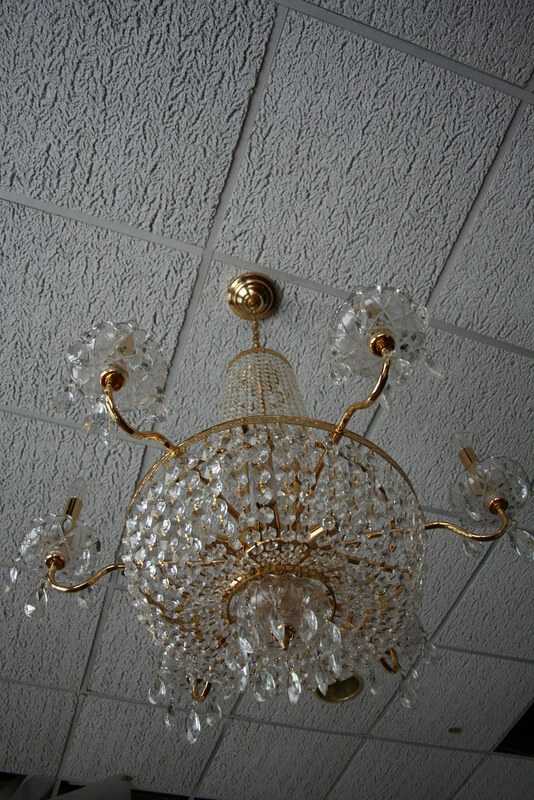 Also, it is a somewhat ironic juxtaposition to set a nice chandelier against a drop tile ceiling.